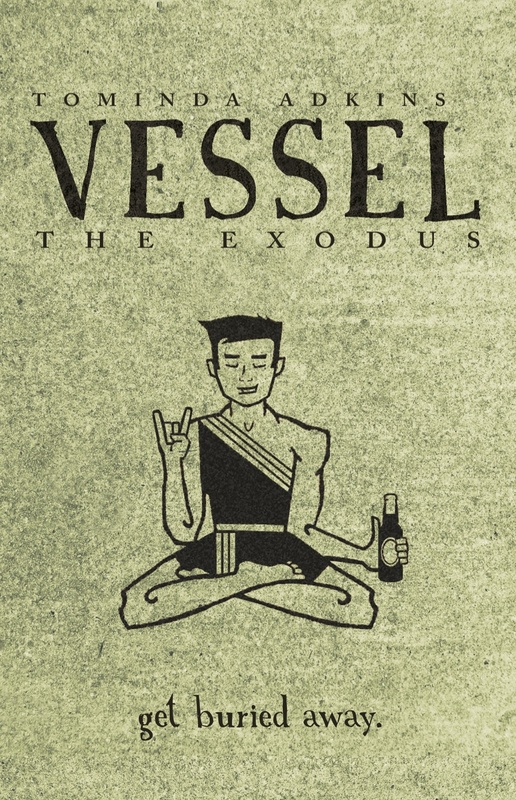 Vessel Blog: Exodus release details! Signed copies available from the vesselbooks shop on the release date. Other copies available wherever books are sold (amazon, brick-and-mortar booksellers, etc) once they receive the book's data. Pre-order here, and your signed copy ships Friday, August 2nd! For Kindle, Nook, Kobo, iBooks, and other e-readers. *Pending distribution schedule, a delay of a few days might occur for some retailers. Seattle, Arabica Lounge, 1550 E Olive Way. Time TBA. Nine months after their lives collided inside a fabulous but doomed tour bus, our five unlikely gods are still right where we left them: on Elysium, their luxurious island home. 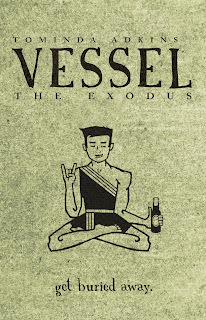 For the Vessel, it's paradise. For Jordan, it's little better than a prison---but at least it has a fully stocked bar. When the Vessel are required to make a short sojourn to Alexandria, Jordan jumps at the chance to join them, but no time in their divine presence comes free of tribulation. Awaiting them are rival cults, a basement of catalogued horrors, roadside tombs, holy underwear, a certain not-quite-dead princess and her carnivorous horse, and, naturally, a gay bar. The sanctified walls of a Luna Latum compound provide little protection against the forces conspiring to see them dead, and while the Vessel defend their hosts from a plot of unmatched devastation, one truth becomes too clear: the world they left behind as men is no place for a god. In it, one misstep can unearth mortal danger, and the chance to defy fate will bring them all to death's door---and she’s expecting them.